Time to update those wallet pics and get some fresh photos for your heirloom frames. 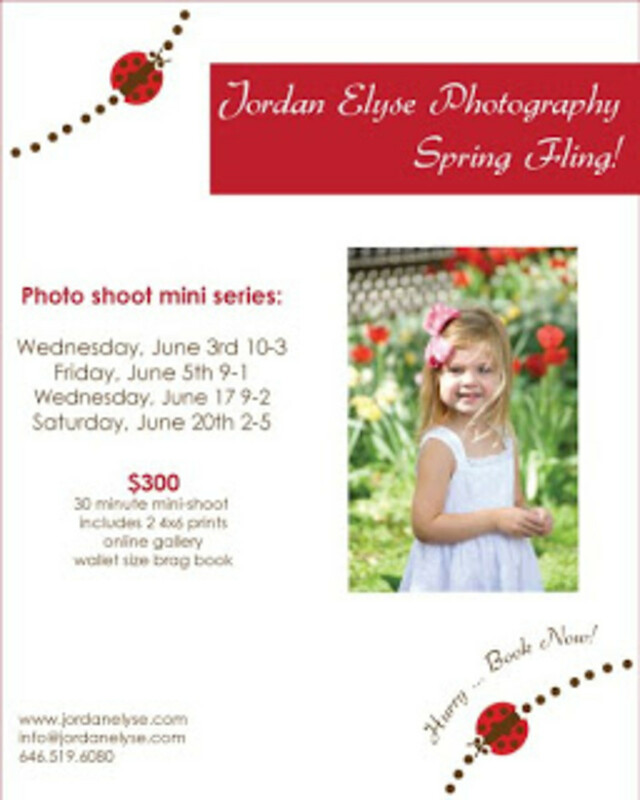 Jordan Elyse is holding a series of Spring Fling photo shoots. $300=A 30 minute mini shoot. Includes two 4x6 prints, online galery and brag books. Contact www.jordanelyse.com for details.